I recently re-watched 2046. 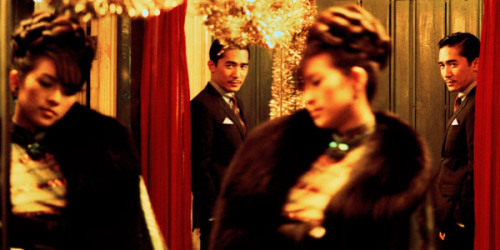 It’s been several years since I first saw Wong Kar-Wai’s loose trilogy, but I had convinced myself that In the Mood For Love was by far the best of the three films, however now I’m not so sure, but I don’t think there is a need to decide. To me In the Mood For Love and 2046 work together more so than any 2 films I’ve seen. I feel you cannot watch one and not the other, as they are essentially one long continuous film; In the Mood for Love just being an extended flashback, of Mr. Chow’s most important relationship. Wong Kar-Wai refers to it as an echo rather than a sequel. It’s a shame Criterion didn’t package and release these films together. Whereas In the Mood for Love is more of an intimate portrait, 2046 is an ambitious more sensual and melancholic exploration of memory and love; a longing for another time and place, of how things used to be, but never will be.